We are very excited about the path that we see you all moving in at this time. 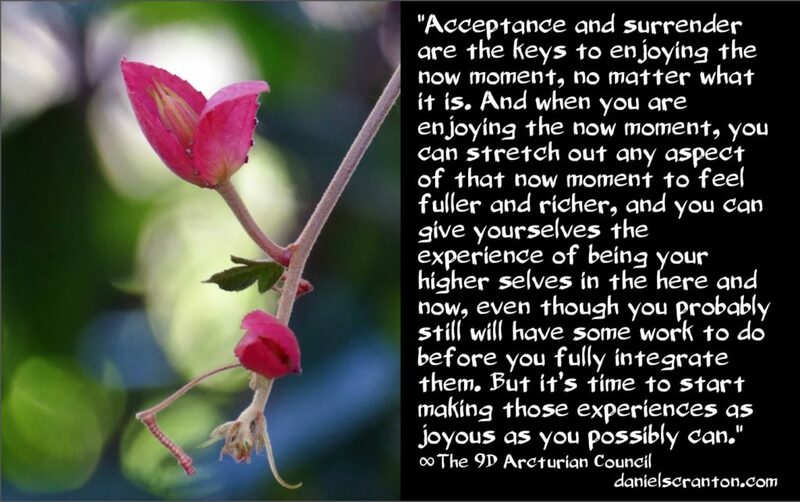 You have been letting go of your attachments to when the shift is going to happen, and you have been setting in more to do the work necessary on yourselves to make it as pleasant of a shift as it possibly can be. 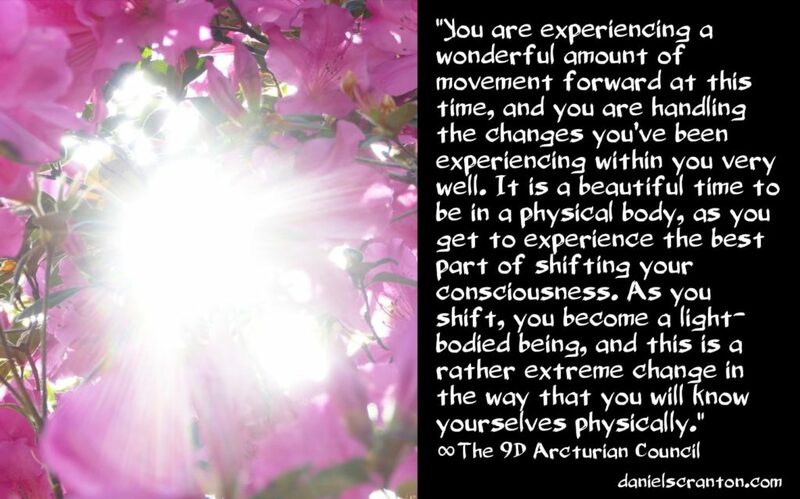 You see, you don’t want to be flooded with all of the energies of the shift all at once, because then you would find yourselves in a position where you would more likely to be curled up in a ball on the floor, having to process everything, all at once. 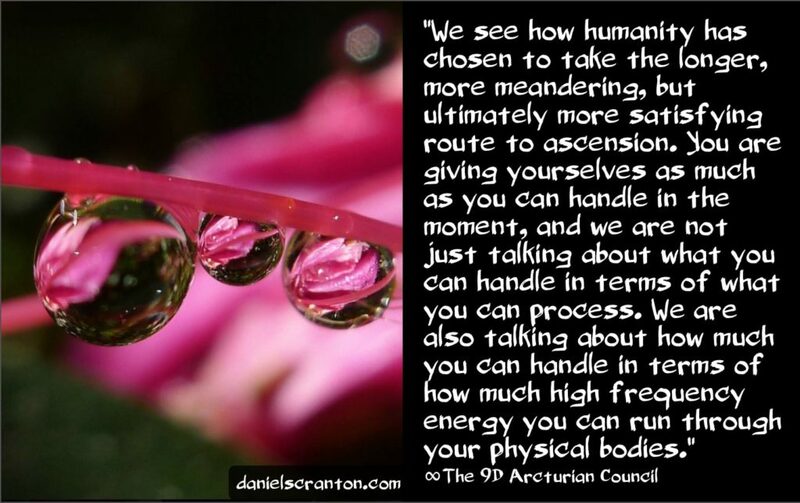 So instead, we see how humanity has chosen to take the longer, more meandering, but ultimately more satisfying route to ascension. You are giving yourselves as much as you can handle in the moment, and we are not just talking about what you can handle in terms of what you can process. We are also talking about how much you can handle in terms of how much high frequency energy you can run through your physical bodies. Now, in addition to processing the emotions that come up for you when you are receiving these high frequency energy downloads, you can also make this easier on yourselves by being hydrated, by resting, by grounding yourselves in your physical bodies and to Mother Earth. And of course, the more present and heart-centered you can be, the better. As hard as it is for you to be on the Earth in the fourth dimension, it is, and always will be, a necessary part of you all honing your skills. You want to be the best possible deliberate creators, and in order to achieve that goal, you must continue to integrate all aspects of yourself into the whole of who you are. You must continue to clear out your chakras from the gunk that has been accumulating in those chakras for all of your many, many lifetimes on Earth and in other parts of your galaxy. So taking the slow and steady path benefits you and everyone else who is a part of this universal shift in consciousness. We continue to give you what we think you can handle, but your higher selves will always be the ones choosing exactly how much of that you actually can handle. And your higher selves are making that decision based upon how intimately they know you. 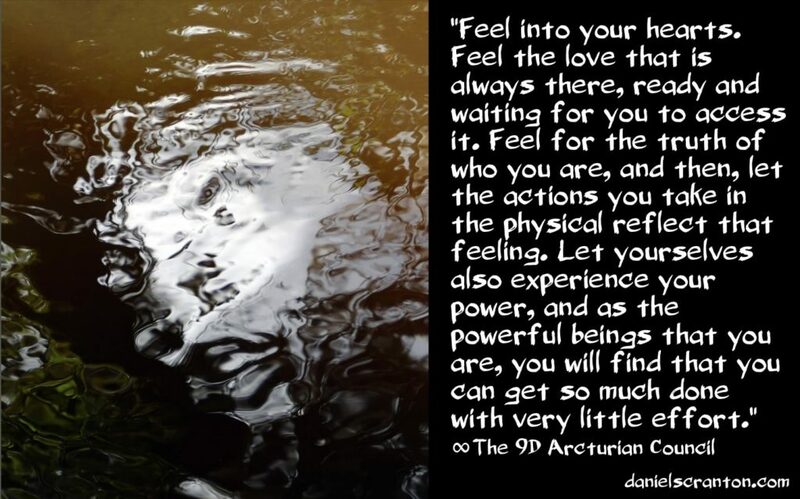 This holds true for all of the beings in the higher dimensions. No matter what they are offering in terms of help, there will always be a certain amount that you can handle in the moment and that it serves you to download. So just relax. Don’t worry about how much you can handle. Let your higher selves handle all of that. And instead, look for ways to enjoy the rest of your time there in the fourth dimension, because in the grand scheme of things, it’s not very long at all. You are on the verge, so enjoy the ride. Watch the Video – I’m in it! We have been receiving many requests from all of you, and we want you to know that we enjoy very much receiving those requests. We also enjoy fulfilling them. We like to feel that we are contributing to your ascension and also to the betterment of your lives there, while you remain in the transitory zone of the fourth dimension. Now, we are particularly eager to help those of you who want to be of service, because that aligns you with our intention. 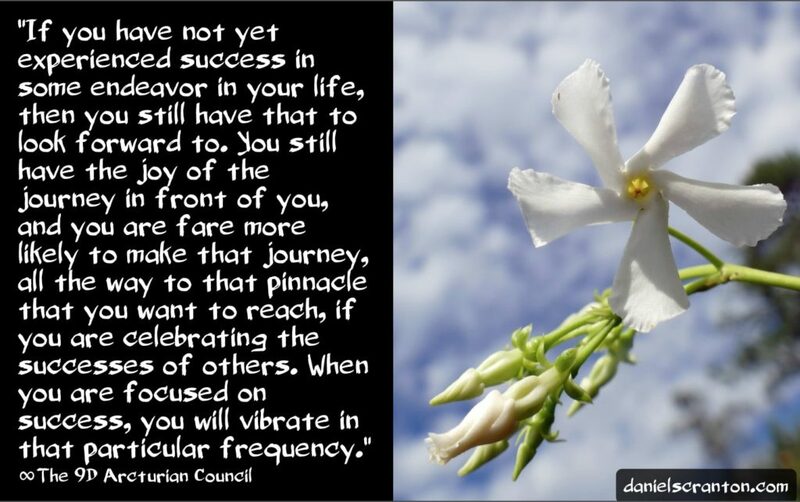 You see, when you are having that desire to be of service, you align yourselves with us and so many other high frequency beings, including Source. We also want you to know that there is no shortage from where we sit. You don’t have to worry about asking for too much, because our experience of time and space are limitless. We, in fact, draw more energy from Source every time we answer one of your requests. And we also want you to know that this is the same thing that happens when you all answer a request of one of your fellow humans. You are not depleted at all, because you draw more of the energy of Source through you when you are looking to help each other out. But you certainly can give yourselves the experience of feeling depleted. What that means is, you’re not receiving that energy that is being freely given to you when you are helping others. You see, you have to remember that you can receive more and that you are not martyrs. You are not meant to sacrifice something just so that you can help someone else. Instead, you want to be in the flow of the energy. 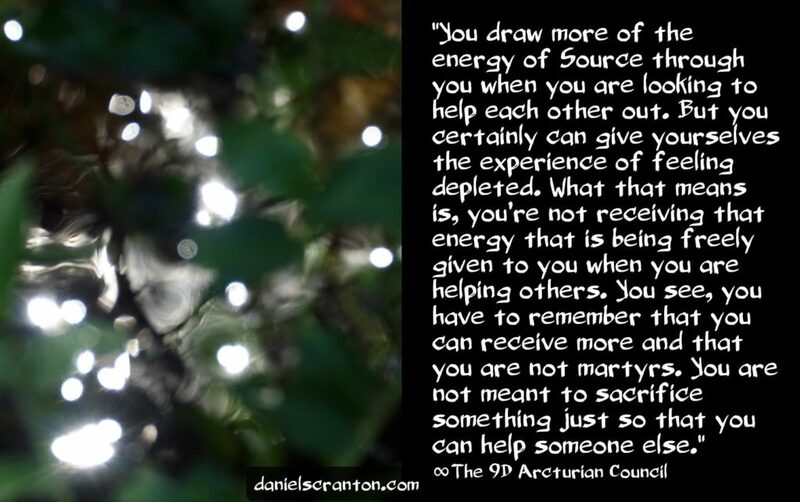 You want the energy to flow through you as you summon and receive more of it, and then more people look to you to help because you are so good at it. 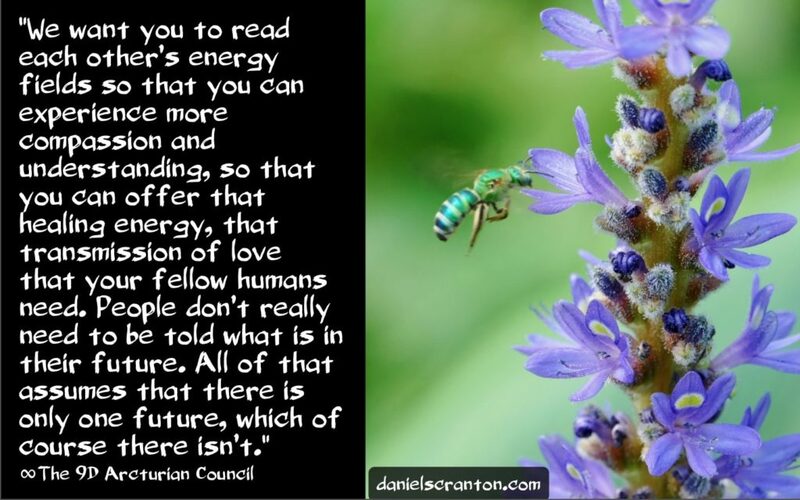 And they summon more and more of that energy through you, and you get the benefit of feeling Source Energy moving through you and being an instrument of this beautiful universe of ours. You get to be our ground crew. You get to be instruments of all of us in the higher realms. And for those of you who have yet to experience what it truly feels like to be in the flow, we promise you it is a beautiful experience. Remember, we have been physically focused ourselves, and we have had the experience. And it is every bit as lovely as you can imagine. So remember that when people look to you for help. Remember that it’s an opportunity for you to feel something that is truly magnificent. We are interested in the different ways in which you all have of processing your emotions. We like to learn from watching you, and we like to see what also triggers those emotional states within you. We are interested in this because we know that you are essentially emotional beings. You do things, and you say things, and you certainly think a lot of things, but when you feel things, that’s when you get in touch with who you really are. You can, of course, avoid, suppress, and numb yourself to your emotions, but eventually they will catch up with you, and you will have to feel them, because your emotions are energy, and that energy wants to move. It wants to move through you. Now, we see most of you not very comfortable with feeling your emotions in public, and we see most of you not very comfortable telling others about what emotions you’re experiencing. And others are so convinced that emotions are just a nuisance that they are closed off from their emotional bodies, shut down, unable to connect to their emotions unless it is an extreme set of circumstances. So that’s how most of you are getting to your emotions. It’s through your creating of extreme sets of circumstances, and that’s unfortunate, because there are many easier ways to go about accessing and processing those emotions. You don’t have to wait until something comes along that you cannot ignore, or that triggers you to such an extent that you find yourself incapacitated by your emotional state. So, here is what we recommend. We recommend you start each day by checking in with how you are feeling. Do a check in with each of your seven main chakras. Chances are, if you’re feeling something, you’re feeling it in one of those chakras. Now, if you wake up and you’re in a state of joy or excitement, then wonderful, enjoy that experience for a little bit longer before you get up and start your day. 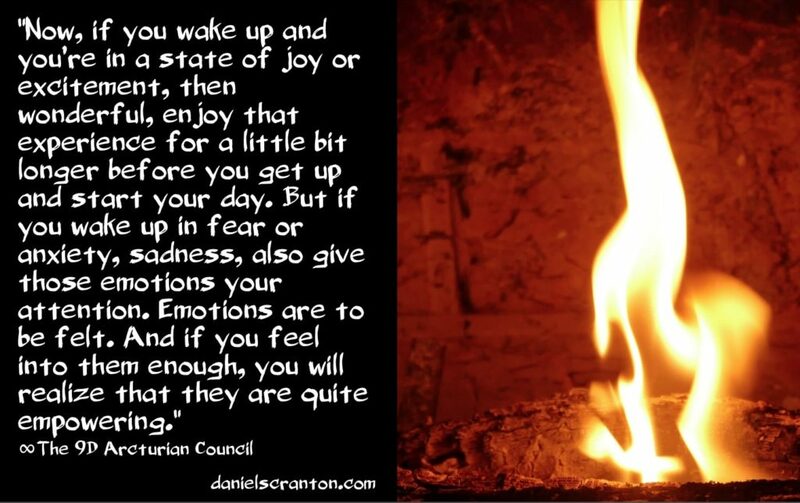 But if you wake up in fear or anxiety, sadness, also give those emotions your attention. Emotions are to be felt. And if you feel into them enough, you will realize that they are quite empowering. They are energy that can be put to good use, even if that good use is just the opening that they leave when you process them thoroughly enough. 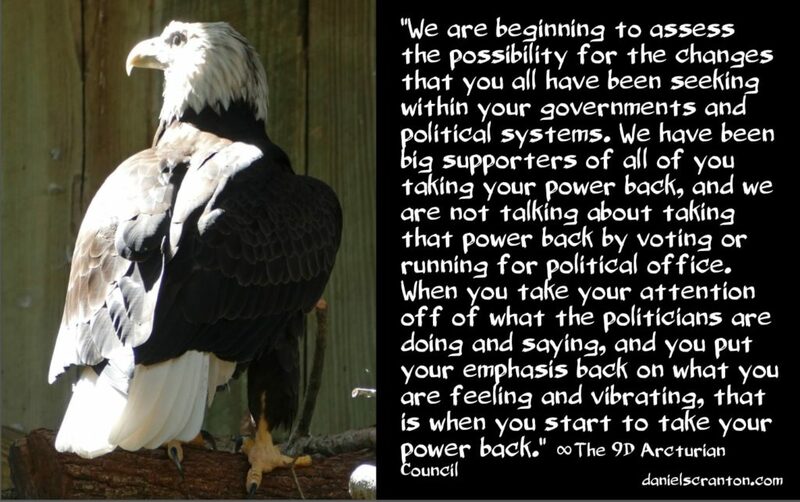 But ultimately, their power is in their ability to get you in touch with your ability to sense energy and vibration. Because when you can sense energy and vibration, you can create the reality that you want to live in. So they’re much more than just a nuisance. They are powerful tools, and we want you to access those tools often so that you can benefit yourselves and others with your emotional awareness. We are excited to introduce all of you to a side of yourselves that you may not have known existed. We are referring to the side of yourselves that knows everything. There is a part of you, and it is inside of you, that understands the consequences of every action. There is a side of you that knows what you are moving towards in every moment. There is a side of you that knows about the entirety of your history in all of your lifetimes, and that part of you does not exist anywhere near your physical mind. Now, many of you use your physical minds to try to understand where you are going, what a choice will lead to, and where you have been, but your minds are much better off focusing you on the present moment. This is why the meditation is so valuable. In meditation, you are focusing on the here and now. You are focusing on what you are doing in the moment, which is breathing. We know that some of you already tap in to this side of yourselves that knows everything that you could ever possibly know. We are talking about the area of your heart that is right in the center of it. Now, you have often been pushed away from your feelings by others. Others have diminished the importance of your feelings, and most of your lives, there has been an emphasis on your intelligence, your ability to recall information, and your ability to figure things out. But that all keeps you in a state of perpetual limitation. In order to truly tap in to what it is that you have access to, you need to feel into that place in the center of your heart where all is known. So we recommend that you focus there more often. We recommend that you shift your consciousness from your head to your heart, and we certainly recommend that you follow the advice that comes from that very wise part of who you are, not just in matters of the heart, not just when it comes to your emotions and your relationships. We are talking about listening to your heart no matter what the circumstance and trusting in that part of yourselves that is infinite and eternal. At the center of your hearts lies a portal that connects you directly to Source, and that’s what we want you to feel for from now on whenever you are curious about something, you want to know something, or you are about to make a decision in your lives. We have established a strong connection with many of you who receive these transmissions on a regular basis, and we are very pleased with how well you receive us. 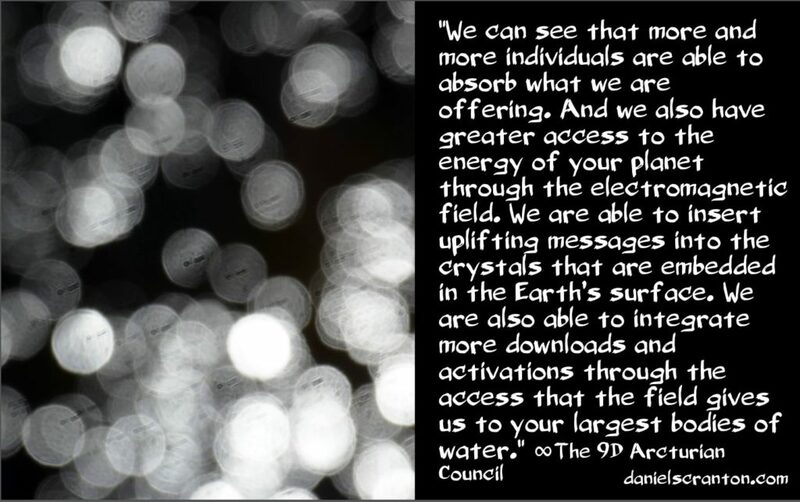 We want you to know that as ninth dimensional beings, we are non-physical. And therefore, we can be everywhere all at once, because we are essentially nowhere. We are part of who you are, and you are a part of who we are. Therefore, there is no distance that needs to be traveled. 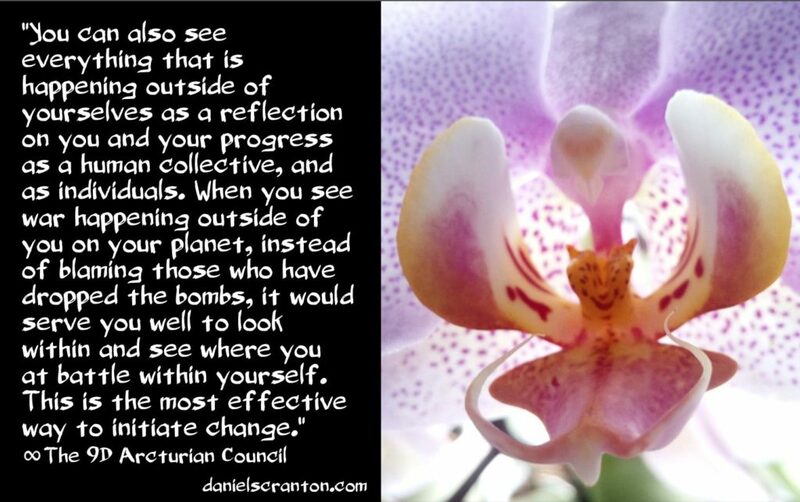 We are Arcturian because that star system is where we evolved and ascended from. It doesn’t mean that we are spending all of our time there, and you certainly don’t have to reach out to a far away place to reach us. We want you to know that these truths we are sharing are not limited to us. Your ascended masters and archangels are also capable of being everywhere, all at once, and the connections that you have with them can never be severed. Now, we also want you to recognize that there is no real separation, even between physical beings. It is an illusion of separation that your physical bodies give you, but in truth, you are all one being. We are all one being, but we do tend to travel in groups. We are in groups that we get the most benefit out of being in. However, within the human collective, we suggest that you get less group-oriented. We suggest that you seek to do less segregating and that you be more inclusive of all of your fellow humans. We like that you reach out to us and that you have established the connection that you have with us, but we also want you to reach out to your human brothers and sisters. 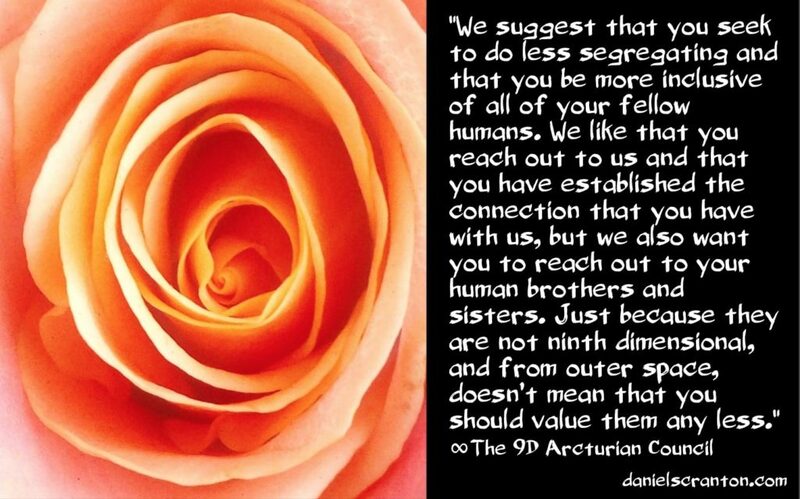 Just because they are not ninth dimensional, and from outer space, doesn’t mean that you should value them any less. All of us are in this together, and we are all very excited about the coming together of humanity. The repercussions of you all unifying will be very large, very important, and very positive. We have noticed the ways in which you all tend to reach out to one another energetically before you pick up the phone, or write the email, or connect in some other more traditional way. And those energetic transmissions that you send are significant. You are going to be completely telepathic at some point, and you are giving yourselves plenty of practice in the here and now. You can pick up on what someone else is transmitting to you right before you receive their text, email, or phone call. You can sense what another is feeling, even when they are not communicating that feeling openly. And the ways that you have of connecting with one another using your technology will continue to become more and more elaborate. 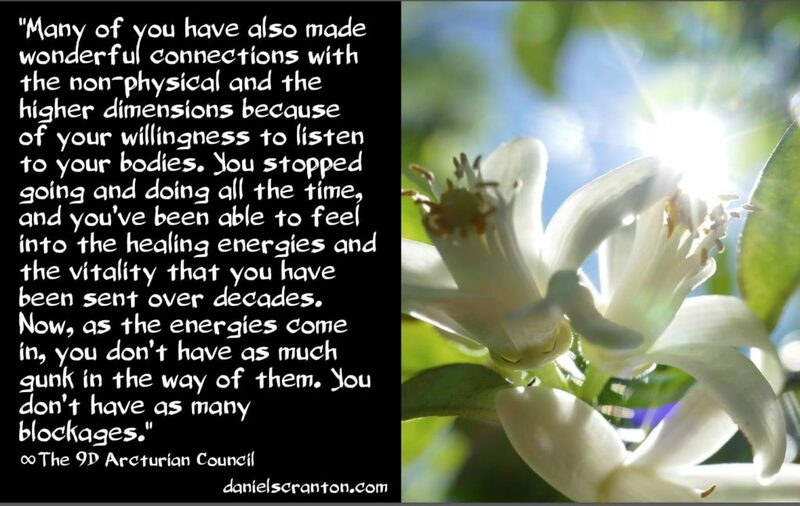 But that is all because you are becoming more and more open to sending and receiving these energetic messages. 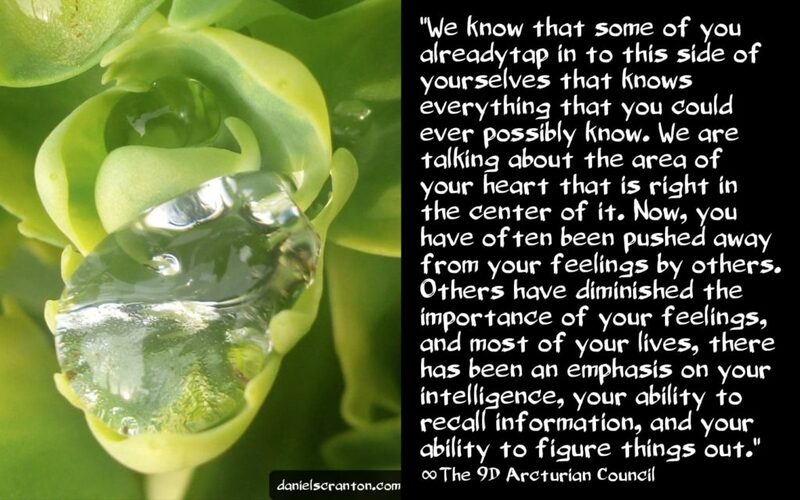 So we want you to pay attention more to what you are sending and receiving energetically. You don’t have to worry so much about every little word that you say or type. You would be better off spending your energy focusing on the actual transmission you are sending to the other person. And then, of course, you can ask yourself whether it’s the transmission you want to be sending. 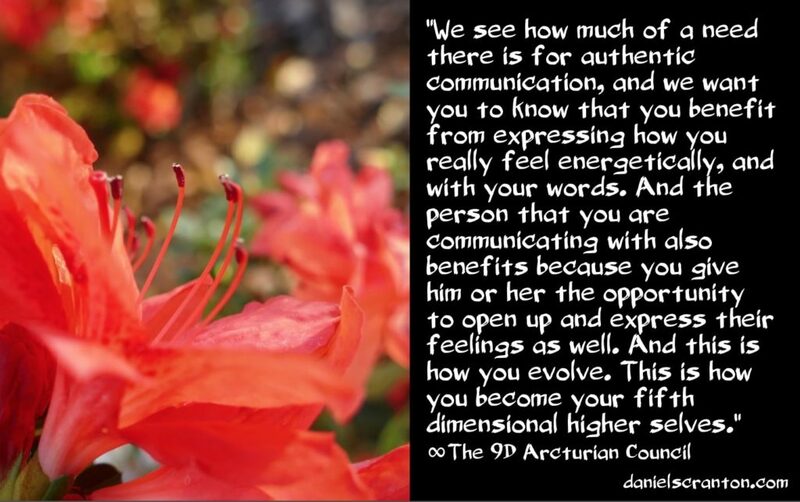 We are giving you this transmission now because we see how much of a need there is for authentic communication, and we want you to know that you benefit from expressing how you really feel energetically, and with your words. And the person that you are communicating with also benefits because you give him or her the opportunity to open up and express their feelings as well. And this is how you evolve. This is how you become your fifth dimensional higher selves.